DAVE MASON is an English musician, singer, songwriter, and guitarist who first found fame with the rock band Traffic with Stevie Winwood. 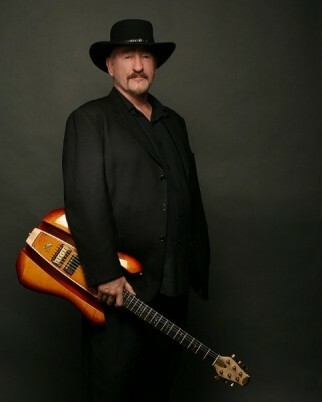 In his four decade career, Mason has played and recorded with many notable musicians, including Jimi Hendrix, Michael Jackson, The Rolling Stones, Eric Clapton, George Harrison, Fleetwood Mac and Cass Elliot. Mason’s best known song is “Feelin’ Alright”, recorded by Traffic in 1968 and covered by dozens of artists, including Joe Cocker, who had a major hit with the song in 1969. His biggest solo hit is “We Just Disagree,” a 1977 solo hit that has become a staple of Oldies and Adult Contemporary radio playlists. Mason is a proponent of music education for children. In 2005, he signed on as an official supporter of Little Kids Rock, a non-profit organization that provides free musical instruments and lessons to children in public schools throughout the U.S. He sits on the organization’s board of directors as an honorary member. He is also involved in the program Work Vessels for Veterans, which provides veterans transitioning to civilian work with tools that have ranged from computers to boats to tractors. Mason’s 1980 single, “Save Me”, was notable for featuring a duet with Michael Jackson.